Here's what the next generation referral agency looks like: It allows facilities to spend more money towards care and less to agencies. It makes marketing your facility affordable. It makes competing with larger facilities easier. It eliminates agency referral fees. 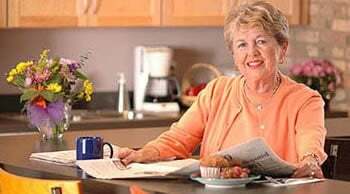 It provides your senior care facility exposure to the online elder/senior audience looking for placement. It gives our established network of social workers and health care professionals easy access to your senior care facility. It makes it easier to fill vacancies yourself. Tired of relying on agencies to fill your vacancies? Tired of the costly referral agencies fees? Tired of paying the residents first month's fee to the referral agency? Carewatchers starts by placing the name of your senior care facility, telephone number and descriptive information about your facility in our senior housing directory. Your directory listing makes it easy for the potential online resident and our established network of health care professionals to call you direct. Carewatchers refers your facility qualified referrals from private pay residents and family members that have contacted us looking for placement in your city. 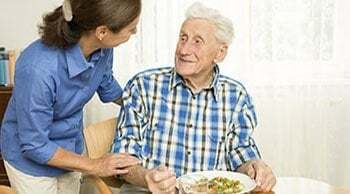 We also refer all calls, emails and forms we receive from hospital social workers, skilled nursing facilities, rehab facilities, health care professionals and seniors living in independent living communities. Before referring the resident we qualify them by asking for the preliminary medical diagnosis and financial status to be sure they can pay a base rate between $1,200 and $10,000 per month for a minimum of two years. Last we ask for information about their cultural needs. After notifying you of a resident you have 24 hours to let us know if you're interested in that resident. If so, we make the appointment with the resident to tour your facility. Information of the resident will only be sent to the three senior facilities listed in our directory. We understand that facilities will receive various violations, however Carewatchers will not accept facilities that have violations for abuse, neglect or violating resident’s rights. Carewatchers will check state websites periodically. If a facility is found to have the above violations, they will be removed from our directory and referrals will be discontinued. Your one year subscription will be pro-rated and returned. Each state has laws and regulations governing unlicensed facilities. If a state allows a facility to operate without a license or with a minimum number of residents, Carewatchers will operate within that states guideline. We verify the laws of each state before we accept unlicensed facilities. Carewatchers will accept unlicensed facilities at our own discretion. After the credit card process you'll provide us information about your facility. This information is required to give potential residents information they need about your facility. If you're licensed please have handy your license number and date of licensure. For unlicensed facilities you can type N/A for (not applicable). Your information will be reviewed for approval, once approved you'll be added to our directory. Your directory listing will be online within 24 to 36 hours. Once your listing is complete we contact you to review your listing and answer any questions you may have. If you're not approved, your money will be returned within 48 hours.